For many people trying local food is one of their highlights of the trip. To make sure your local food experience is enjoyable it is important to get to know what the country has to offer in terms of dishes. That way you get to enjoy tasting different food but at the same time you have an idea of what food will suits your taste. Visiting Jordan is all about touring different breathtaking sites and exploring new things whether it is seeing Petra the new seven wonder, floating on the Dead Sea, or jeep touring the desert of Wadi Rum. Within the Jordanian culture food is an important aspect and used to express hospitality and generosity. 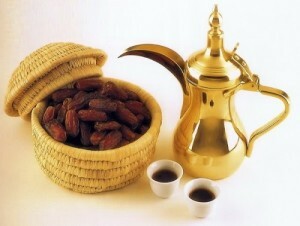 To have the full experience of Jordan, you must taste its local traditional Cuisine and drink traditional coffee or tea. Luckily, in Jordan there are many varieties of food and some you probably heard of or it is familiar since, it is popular in other Arab countries as well. 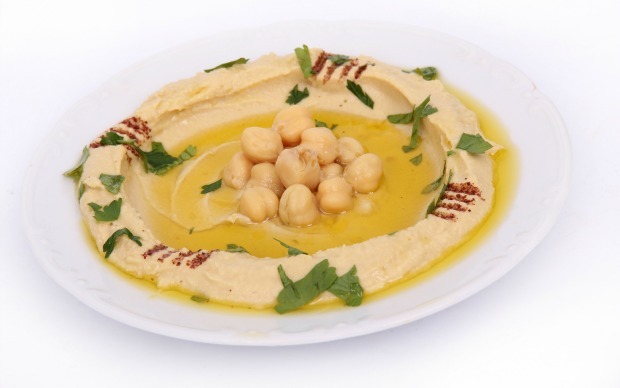 Just like other Arab neighboring countries in Jordan mezze (starters) are very popular when it comes to serving food. Hummus: a puree of chick peas blended with tahina (pulped sesame seeds), lemon and garlic. 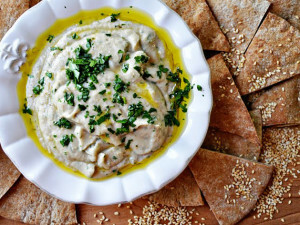 Mutabal (baba ghanoush): Baked eggplant pureed with tahini, garlic, and olive oil. 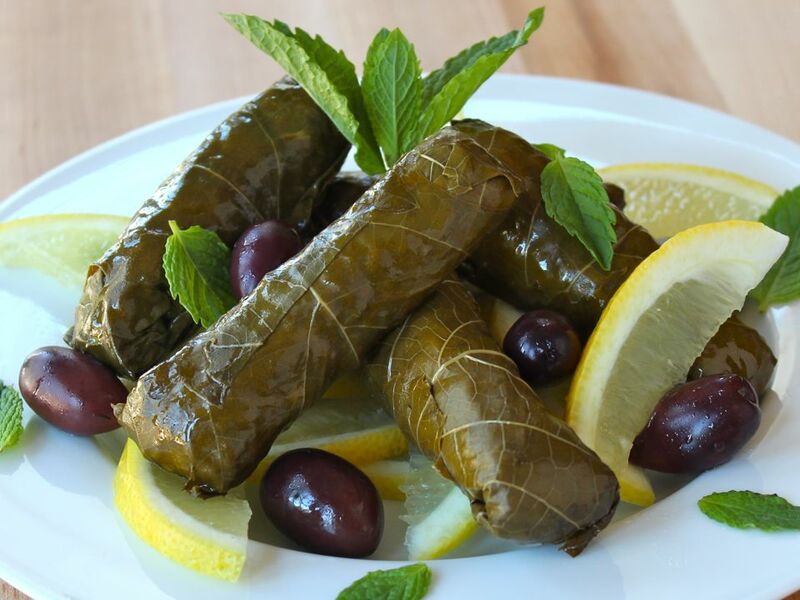 Stuffed Vine Leaves: grape leaves, stuffed with a mixture of rice, minced meet or grains, onions, fresh dill, mint or parsley, lemon and spices. Note: There is a vegetarian stuffed vine leaves which is usually cooked with olive oil. 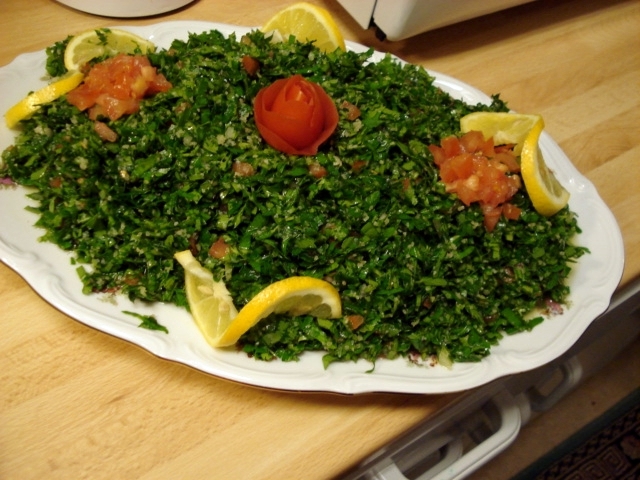 Tabouleh: Arab Salad the ingredients are finely chopped. Contains bulgur, tomatoes, cucumbers, parsely, mint, onion, and seasoned with olive oil, lemon juice, salt, and ground black pepper. 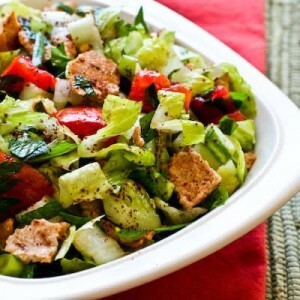 Fattoush: A salad well known in all Arab countries made from toasted or fired pieces of pita bread combined with chopped mix vegetables such as tomatoes, cucumbers, lettuce, red onion, radishes, green pepper, parsley, mint, and seasoned with olive oil, lemon juice, salt and ground black pepper. Kibbeh: torpedo shaped fried croquette bulgur stuffed with minced onions and ground red meat. 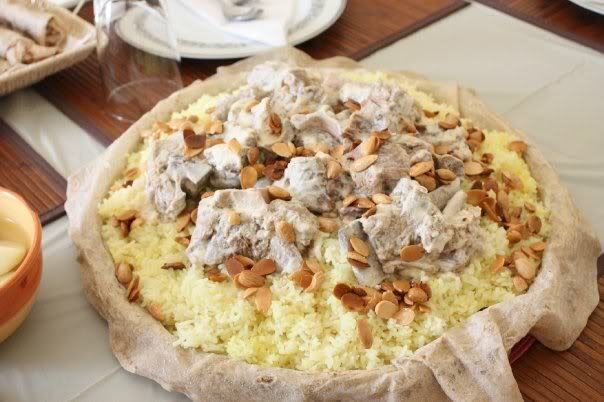 Mansaf: The national dish of Jordan, a Bedouin dish. 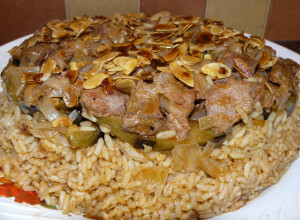 A lamb with aromatic herbs is cooked in dried yoghurt (jameed), served with rice and garnished with pine or other nuts. 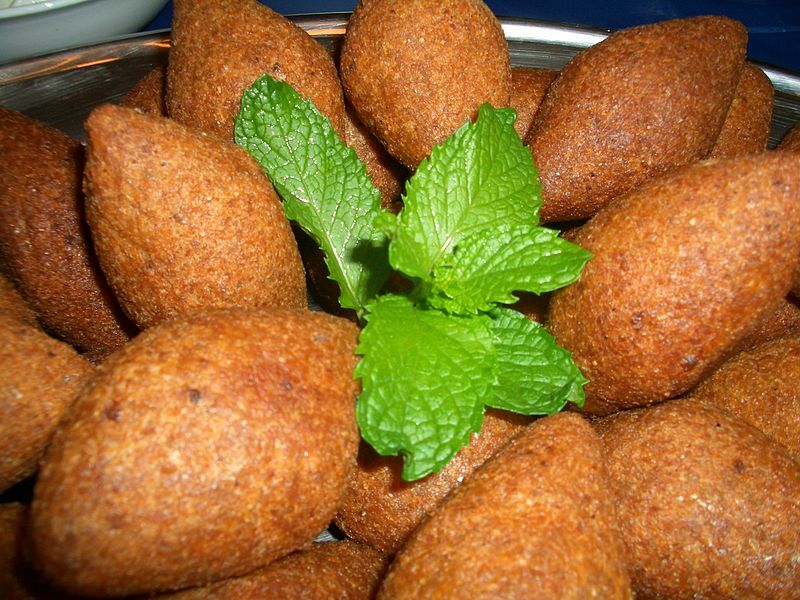 It often symbolizes an occasion like a wedding, and as with most Bedouin dishes, it is traditionally eaten with the right hand. Magloubeh: made with lamb or chicken and aubergines, sometimes fried cauliflower. 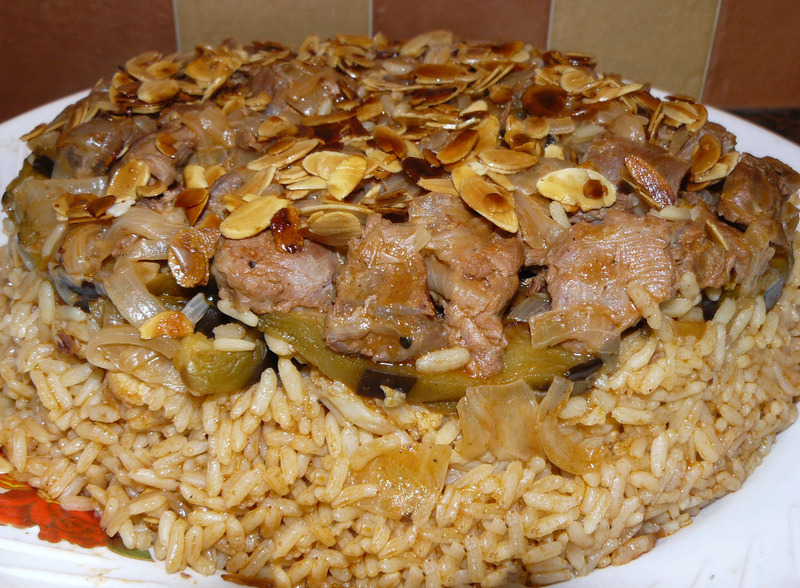 Maglouba is translated as “Upside Down”, cause this casserole is inverted after preparation. 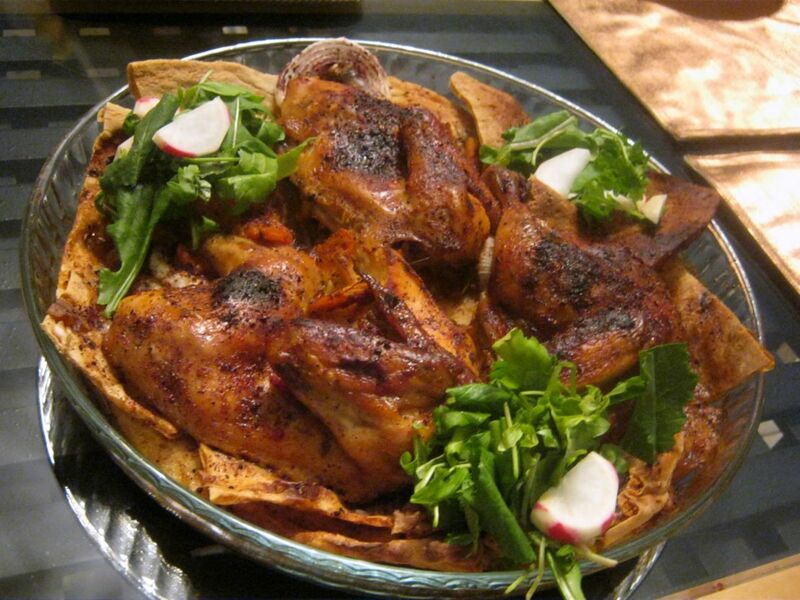 Musakhan: A main dish originated from Palestine composed of roasted chicken baked with onions and spiced with sumac, allspice, saffron and fried pine nuts and served with bread called taboon. Zarb: A Bedouin dish. 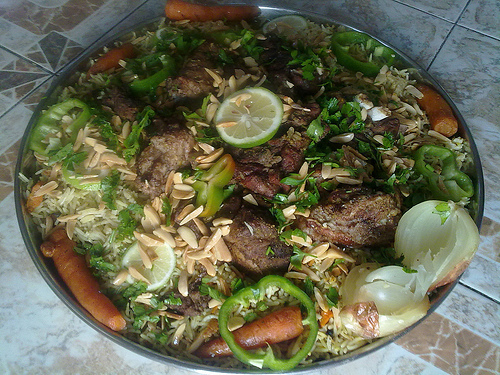 Meat, mostly lamb, is cooked by a unique underground grilling method in a mud oven, served with rice and vegetables. 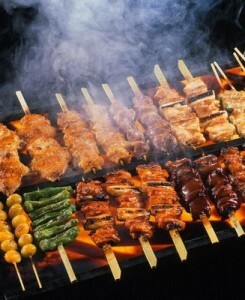 Mashawi: A mixed grill of barbecued meats such as Kebab and Shish taouk. 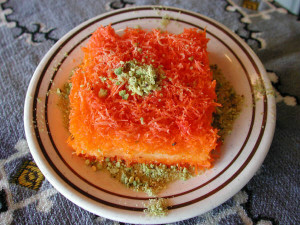 Knafeh: cheese pastry with semolina bits baked on top soaked in sweet sugar-based syrup. 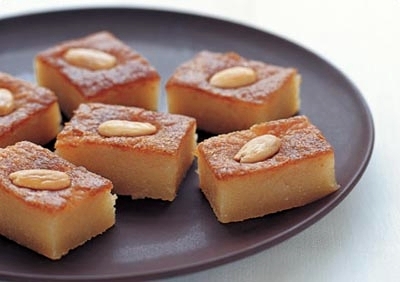 Harisa: A semolina based cake soaked in sweet syrup topped with almonds. 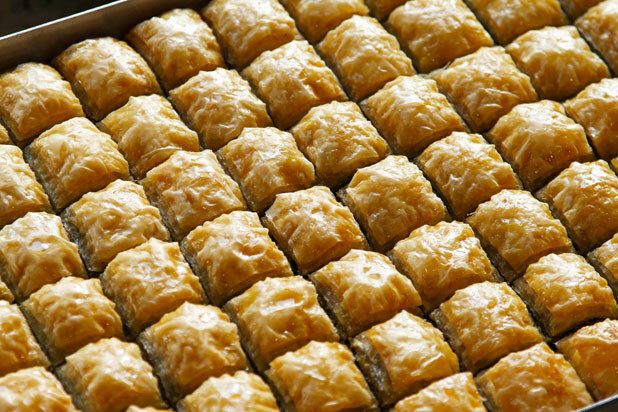 Bakalva: is a rich, sweet pastry made of layers filled with nuts and sweetened with honey. In Jordan like any other countries you can find all types of beverages but Jordanians traditionally drink tea with fresh mint leaves. 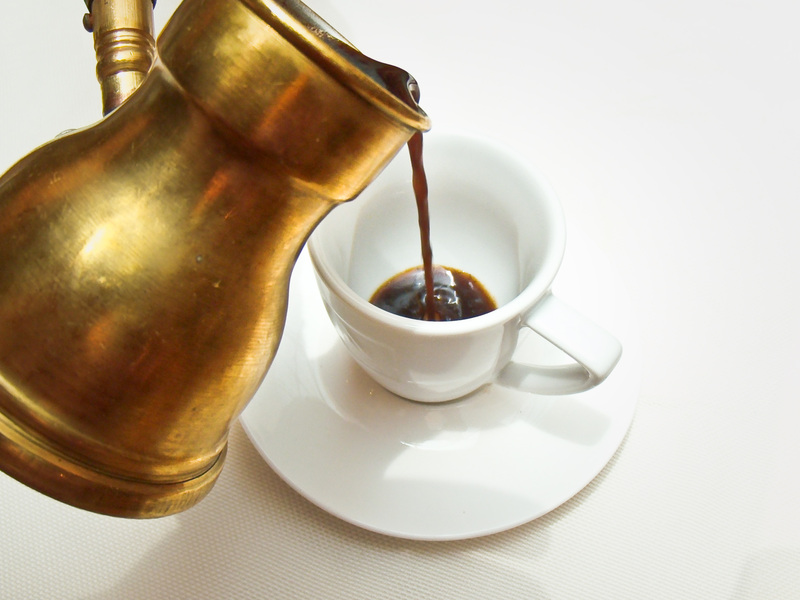 When it comes to serving coffee there are two popular types which are Arabic coffee and Turkish coffee. Arabic Coffee: is strong, served in small cups, with a taste of cardamom. Turkish coffee: Turkish coffee is famous for the way it is made. It is prepared in a small coffee pot that is heated. Sugar is added during the brewing process, not after, so the need for a serving spoon is eliminated. Sugar is optional. All that listed above are suggestions of what you can enjoy in Jordan. 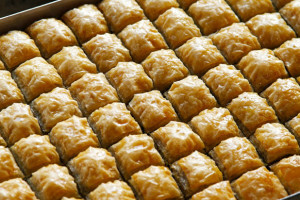 Of course, there are a lot of other dishes, desserts, and beverages you can experience in Jordan. The ones that were mentioned are the most popular ones and widely offered in restaurants.